What an Ad Network is and how it works. What comes to your mind when you hear the term “Ad Network”? For most people, especially those not so much conversant with marketing will tell you it is something that involves advertising and a network. Now let me tell you from a professional perspective what an Ad Network is. 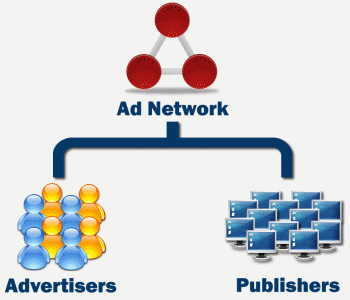 An Advertising Network is a company that acts as a middle man between and advertiser and an advertising site. It links an ad space supply from a publisher to a matching advertiser’s demand. I know you are wondering how all this works in details and that is exactly what I am going to explain to you. For starters Ad Networks don’t include Television Ad Network or Print Ad Network, it exclusively include Online Ad Network. This means if I am an advertiser and i wish to advertise a product online, with the help of an Ad Network i will be able to be connected with an advertising site that are in sync with my specifications. The same happens on the other end of advertising site. With high internet usage across the globe, it is more than evident that online advertising is more effective than any other form of advertising. With this in mind, ad Networks get good revenue since a high percentage of businesses advertise online. 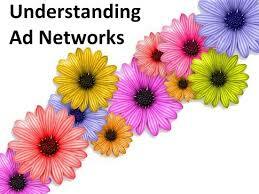 There are large ad networks and small ad networks. For the large ones, they use premium brands and large numbers of impressions per month. Unbranded sites with fewer impressions may use small ad networks. Second – Tier: Don’t own as much advertisers and publishers as first – tier. Their main source of income comes from syndicating ads from other advertising networks. If you are wondering what role the advertiser and publisher plays in this system then this is what happens. The advertiser pays for his online campaign and the publisher can join the ad network in order to get ads displayed on their sites and payments are made based on adverts paid per impression or cost per click. Publishers should ensure that their site’s design and content are of good standards. As a publisher you will own an administration page from which you will be able to check your site’s performance, select your campaign of choice that you want displayed on your site as well as view the payment history. Advertisers should look for ad networks that provide complimentary audience composition, reach and frequency. They should also be able to measure the impact in the efficiency of your overall online brand marketing objectives. Pamoja Media East Africa does own an ad network that gives you access to the digital audience across Africa’s leading markets as well as North America, Europe, Middle East and Asia. It also allows you to control every aspect of your ad space – pricing, ad space creation, advertiser approval and payment options. There are a lot of advantages that comes with choosing Pamoja Media Ad Network as your ad network of choice. I will not say it all in details on this platform but have a look at in on http://ads.pamojamedia.com/.